The LED laser body shaping program uses a 635nm-650nm nm LED laser to heat the fat cells in the target area, causing them to decompose. In a short period of time, fat deposits are absorbed and expelled through the body\'s natural metabolic processes. The introduction of heat into the treatment area stimulates the production of collagen, resulting in a smooth, firm and engraved effect. White square diode lipolaser(650nm 5mw-10) has a direct lipolytic effect on adipose tissue by using 5mw 650nm laser, then stimulate metaboilsm. It mostly used on the big area like arm, hips&backs, thighs, stomach of the body slimming and body shaping. White square small diode lipolaser(650nm 5mw-2) uses 5mw 650nm laser enter excess fat deposits area to get a lipolytic response. 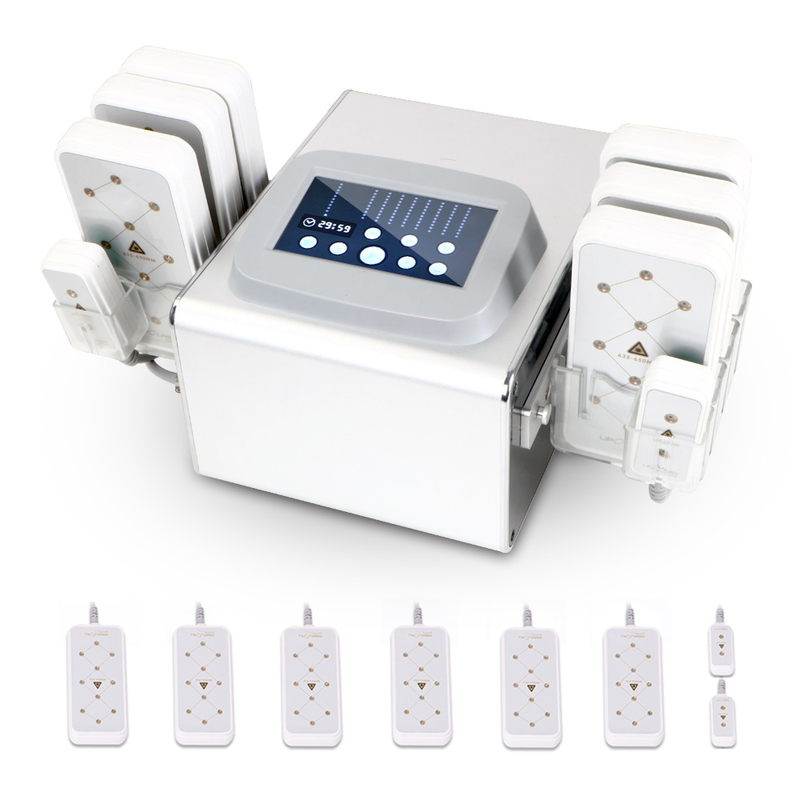 It best for fat removal, cellulite and skin tightening & body weight controlling. It use on small body area.